Wisdom comes with the pain in life; however, wisdom teeth tend to bring in a lot of tooth and gum pain without its accompanied wisdom. The fact is that they are called wisdom teeth, but they are in no way connected to wisdom. Impacted wisdom teeth (third molars) can be very painful and need surgery at a dental hospital in order to extract it. Why they call it wisdom teeth? Right from childhood, teeth appear in different stages and ages. In the process of teething, the incisors come first, then the canines, then premolars, and finally molars. In the case of wisdom teeth, often referred to as third molars by dental doctors, they are called so as they appear late in life after a person reaches the age of maturity. Wisdom teeth tend to erupt between the ages of 17 to 25. Wisdom teeth are teeth that come during the age of maturation. They develop in the third quadrant of the set of teeth. They erupt deep in the mouth posterior to the molars. It is believed that we have a third set of molars as an evolutionary consequence when people had to consume coarse foods. Some dental specialists even term these third molars or wisdom teeth as vestigial, which means that these have become functionless over the course of evolution. It is common for people to have around 4 wisdom teeth and since they develop much later (after the molars have developed); there is a high likelihood that they are impacted. Impacted teeth are those that have been blocked in the gum and fail to erupt completely. This happens due to various reasons. In simple terms, an impacted tooth is a tooth that does not come out through the gum. When the inadequate space prevents the tooth from erupting, then it is called impacted tooth. Wisdom teeth are more susceptible to be impacted. Impacted teeth can be painless and go unnoticed. However, in cases when the impacted wisdom tooth is trying to emerge out of the gums by pushing it, the flap of the gum on the top tends to get inflamed and infected. In some cases, impacted wisdom teeth can be crooked. This means that the impacted wisdom teeth try to emerge sideways or it might even get tilted in the jaw. This is known to cause pain and other symptoms which need treatment at a dental clinic. If you experience any of these symptoms, it is advised that you consult the nearest dental clinic or dental hospital. Teeth emerge or pass through gums during infancy and the same happens again when permanent teeth replace the primary (baby) teeth. Impaction means when tooth does not come out completely through the gums or emerges partially. Wisdom teeth or the third set of molars are very often impacted as they are the last set of teeth to erupt between the teens 17 to 25. At times, the canines are also found impacted. An impacted tooth remains stuck in gum tissue or bone for various reasons. If there is no room for the teeth to emerge or the area is crowded, tooth impaction occurs. Sometimes, teeth may also become twisted, tilted, or displaced as they try to come out or emerge. This also results in impacted teeth and dental problems. As mentioned, impaction occurs very commonly to wisdom teeth. The third molars, particularly the lower ones, are most likely to be impacted. However, they are often painless and hence do not cause dental problems. But a few dental specialists believe that an impacted tooth pushes one to the other and causes misaligned bite. 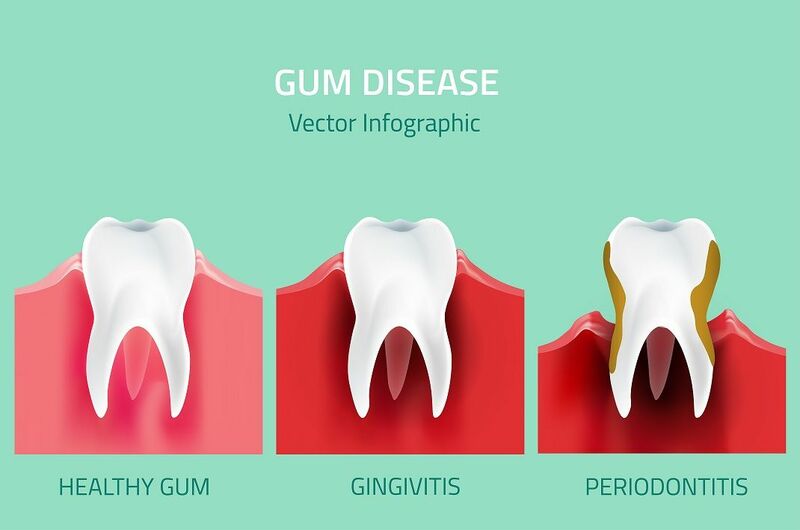 If tooth is partially emerged, it leads to food trap, plaque and other debris in soft tissue around it which can lead to tender gums, unpleasant mouth odor, and gum disease. This phenomenon is called pericoronitis. Debris which is retained may lead to tooth decay of the wisdom tooth as well neighboring teeth, and the accompanied bone loss leads to more dental problems. An impacted tooth is found by dental doctors during regular dental check-up if there is good frequency in the dental visits. 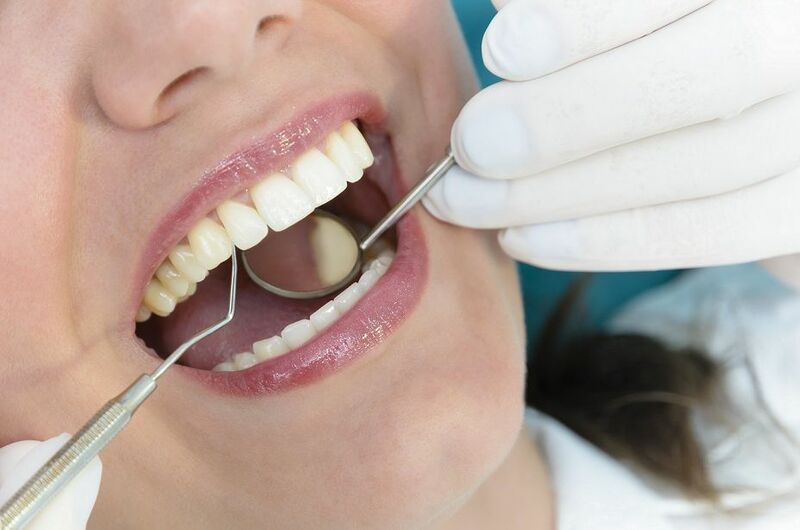 Diagnosis is often made by dental specialists as they recognize impacted teeth based on swollen tissue over an area where a tooth hasn’t fully emerged along with other signs like mouth sensitivity. Based on these findings, they typically take X-rays to establish whether there is a tooth that hasn’t emerged. In general, impacted wisdom teeth (third molars) are a common occurrence. At this point, looking at other perspectives, dentists may recommend removing the impacted tooth with a dental surgery. Depending on the direction of the impacted tooth, they are classified into various types. 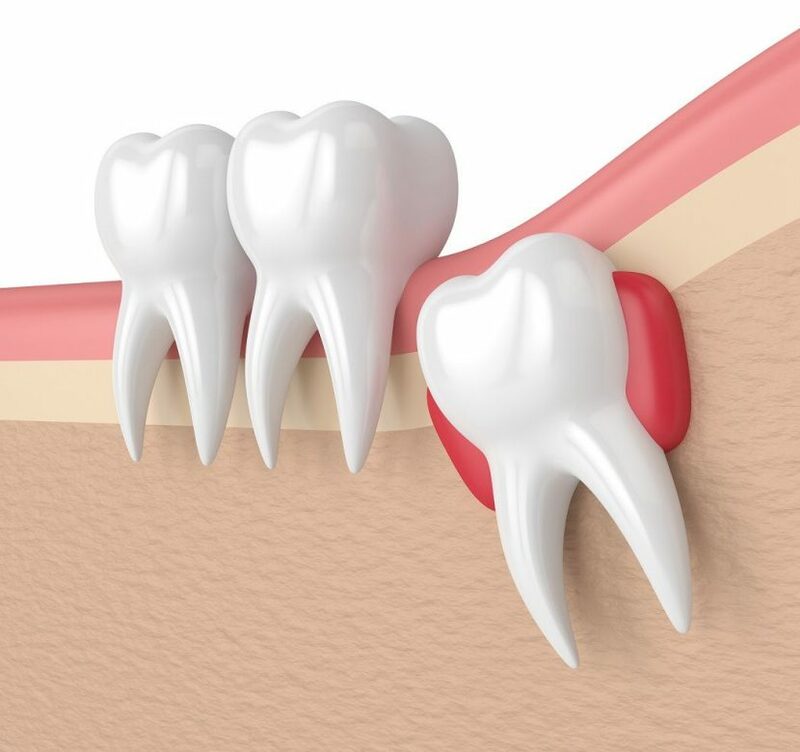 Treatment of impacted wisdom tooth happens in dental clinics or dental hospitals as it might require procedures that can only be done in a special clinical setup. If a person has pain or tenderness in the gums or jaw, frequent headaches, bad breath, swelling and throat pain, then the person is suspected of having an impacted tooth. Typically, teeth emerge from the gums along with age. However, some teeth may not break through. They instead remain embedded in the gums or jawbone. An abscess in the gums. An infection that has the potential to spread. Plaque build-up, gum disease, and bone loss. If the patient presents with impacted teeth and has the above symptoms, dentists would suggest extraction of that impacted wisdom teeth. Dental surgery for removing wisdom teeth is usually a chair side procedure. The dentist or dental surgeon will perform the operation. He/she may use anesthesia as part of the procedure to numb the area of operation. 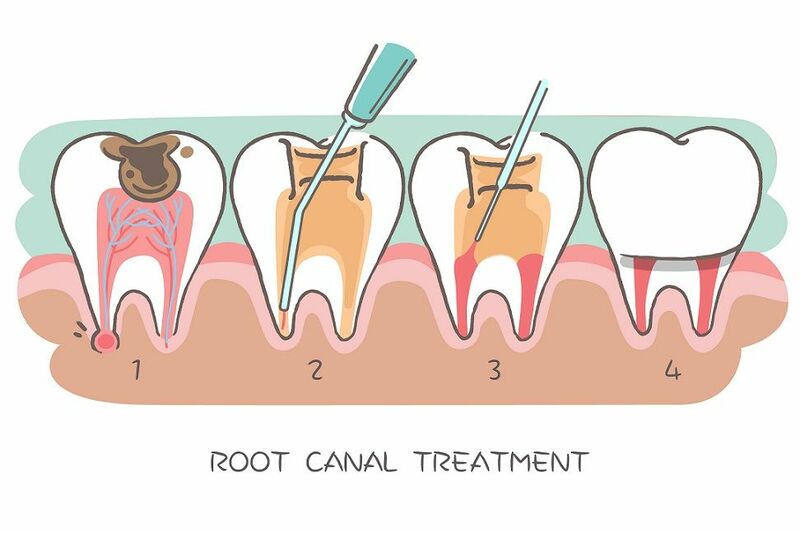 During the procedure, the surgeon will make an incision in the gums and remove the problematic tooth. Later, the incision is closed with stitches and the space is packed with gauze. It will take almost 30 to 60 minutes for this dental procedure. The dentist will prescribe medications and call for a follow up examination in a week at the dental clinic for suture removal. Patients might have discomfort for a few days while opening the mouth, and so one needs to have soft foods. When the tooth is suffering from pericoronitis, the operculum of the gingiva overlying the tooth has to be excised. Although rare, some people may develop a painful dry socket. Dry socket can be uncomfortable but it’s easily treatable. One should follow the post-surgical instructions advised by the dentist strictly to avoid the complications and delayed healing of the socket. Finally, a person with impacted wisdom tooth has to consult a dental hospital, get a clear diagnosis and then opt for treatment. Neglecting symptoms can lead to further complications. If you have any other queries regarding wisdom tooth, impacted tooth, and their treatment options, please feel free to write to us in the comments section or consult an Apollo White Dental branch near to you! Are you breathing through your mouth!